Container Offices Manufacturer in Delhi, Container Offices Supplier in Delhi, Container Offices in Delhi. We offer a range of Container Office site containers that are widely used in for site offices, instant, store and as a live-in site office in remote areas. 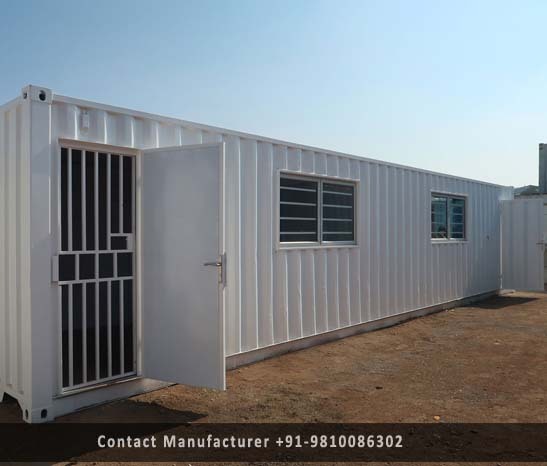 We use excellent quality raw materials like sbf for the effective range production of office Containers in Delhi, this Modelers base upon on international standards. This Container Office is provided with a various number of partitions, toilet unit & other facilities and we also offer mounted mobile offices.